You can see at finish line the red screen with 5 lines showing real time results of just arriving athletes. 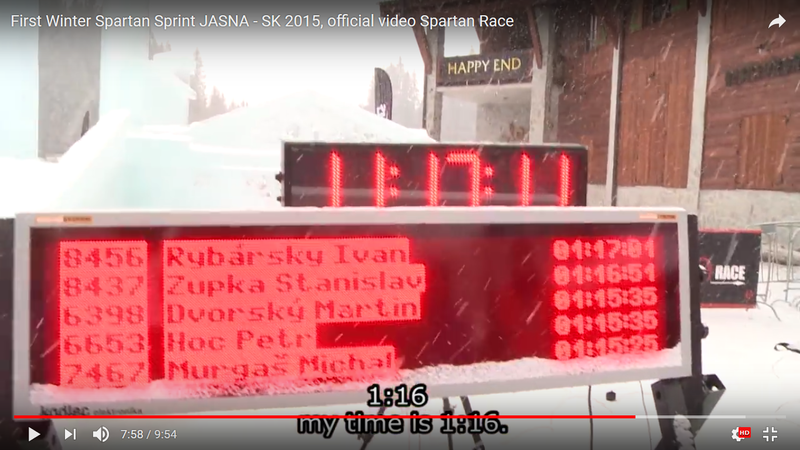 The top line on the screen will show the bib, name and time of latest finished runner. Also on almost all our races (except winter) we have in the RESULTS tent another two large TV LED panels showing real time unofficial results, names of disqualified runners and list of winners of all categories. 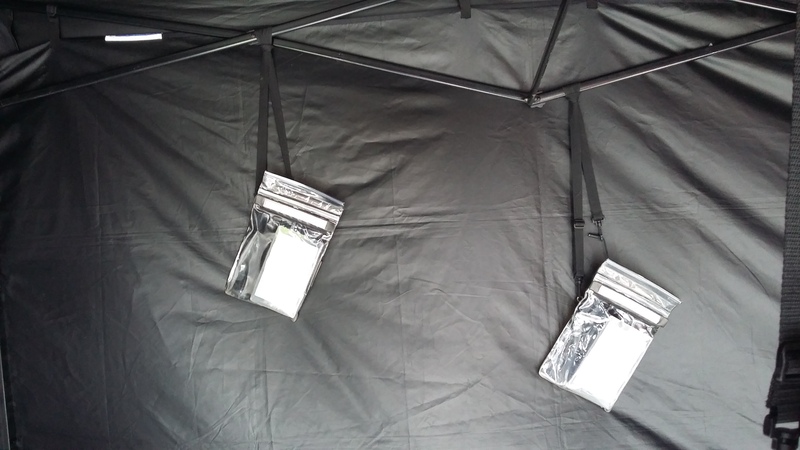 For personal results search you can use also 4 tablets installed in the tent. Complete unofficial results are uploaded right after first runners come to finish line to the web page of our timing company Onlinesystem. Official results will be posted on our web page under main menu tab "RACE" in the section "Results, Points and Photos" no later then next Thursday after the race. We have thousands of competitors at each Spartan Race. We have points and prize awards at stake, so to make sure we have proper and true "final" results posted, it can take several days to post results here. Please be patient and check back regularly.